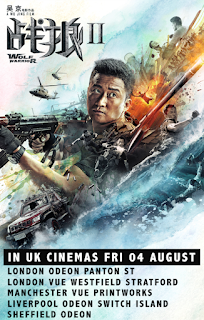 Wolf Warrior 2 will be out in UK cinemas 4th August! 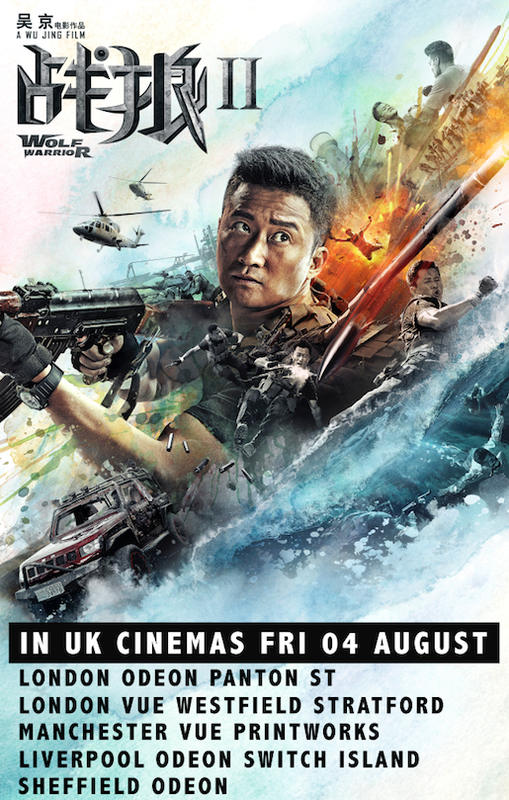 China's deadliest Special Forces operative, known as the Wolf Warrior (Wu Jing – Call of Heroes, Kill Zone), hopes to settle into a quiet life on the sea. But after he crosses paths with a ruthless band of mercenaries, overseen by a volatile and sadistic leader (Frank Grillo - Warrior, Captain America: Civil War), he must reaffirm his duty as a soldier to put an end to the terrorizing of innocent civilians. Fists, bullets, tanks and missiles will fly in this tour de force of bravura action filmmaking, all culminating into a climactic battle between the highly skilled Wolf Warrior, and the brutal mercenary leader.